A Grid enables remote, secure access to a set of distributed, networked computing and data resources. Clouds are a natural next step of Grids towards the provisioning of computing as a service. To “Grid-enable” applications, users have to cope with: complexity of grid architectures; different compute and data nodes; wide spectrum of grid middleware tools and services; the e-science application architectures, algorithms and programs. Therefore, the aim of this chapter is to guide users through the important stages of implementing applications on Grid and Cloud infrastructures, together with a discussion of important challenges and their potential solutions. 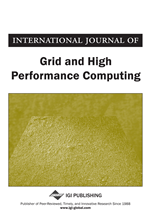 As a case study, we present the DEISA Distributed European Infrastructure for Supercomputing Applications and describe the DEISA Extreme Computing Initiative DECI for porting and running scientific grand challenge applications on the DEISA Grid. This chapter concludes with an outlook on Compute Clouds, and the top ten rules of building a sustainable Grid.